Current fares fluctuate depending on flight departure time and availability, book online or call Helijet reservations for up to date fares. For more information on Tickets & Fares, Rules or Restrictions please contact Helijet Reservations at 1.800.665.4354. Applicable for per person, one-way travel on flights between Vancouver & Victoria or Vancouver & Nanaimo. 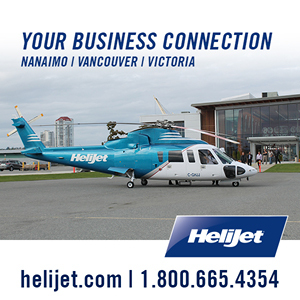 Complimentary parking (maximum, 7 days) is included with the purchase of a confirmed Helijet ticket. Inventory controlled, available on peak flights. Inventory controlled, discounted fare available on most off-peak, weekend/holiday flights. Discounted Fare available on all flights – for adults, aged 65 plus. Available on all flights – for children, aged 2-12 inclusive, when accompanied by full fare paying adult. Both adult and children seats must be booked at the same time on the same reservation. Cannot be booked online, available only by calling Helijet Reservation at 1.800.665.4354 or visiting a Helijet terminal in advance of travel. Cannot be combined with seat SALE fares, packages, other promotions, discounts or special offers. Applies to Peak, Full or Off-Peak Adult and Senior Fares only. Cannot be used with seat SALE fares, packages, other promotions, discounts or special offers. Fare and availability varies, see fare restrictions below. Student Stand-by: No Reservations Available, ask about stand-by availability and fares by phone. Is your group or convention meeting in Vancouver or Victoria? GROUPS: A group is considered eight (8) or more passengers travelling together on the same flight(s). A credit card is required to secure a reservation but fares may be paid by credit card, cash or debit at time of check-in. All Helijet flights paid by credit card, cash or debit are ticket-less, if you require a receipt or proof of travel, please ask a Helijet agent for your receipt. Quick Tickets are another option for frequent travellers. Available as pre-paid or post-paid in books of 10 or 25 they offer a simple solution for tracking multiple travellers on the same account, third-party payment or to save on your business travel expenses. If you are interested in exploring Quick Tickets as an option for your travel, please download the Quick Ticket Account form then complete & submit it to Troy MacDonald. Unless otherwise stated, fares are fully cancellable, changeable and refundable up to 5pm the day prior to departure. Same-day bookings are non-refundable. After 5pm all next-day travel is non-refundable and only changeable for same-day travel; fare upgrade may be required. On the day of travel, changes must be made at least 1 hour prior to departure or cancellation fee will apply. Failure to check-in 20 minutes prior to departure will also result in any onward and/or return reservations being cancelled with any applicable cancellation fees applied. When available, Seat Sale Fares are available in limited quantity, while quantities last. Discount varies depending on availability. Reservation may be changed with payment of any fare difference. When available, mainly during Spring and Summer, Last Minute / Seat Sale Fares are announced on Twitter and show online at helijet.com, the 5pm prior to travel (available in limited quantity, while quantities last). Credit Card required at time of booking. Payment by Quick Ticket or prepaid voucher not available. Fare is non-refundable from time of booking. Reservation may be changed with payment of any fare difference, the original fare amount remains non-refundable. Note: Helijet Reservations or Check-In agents will not know ahead of time if Sales will be coming up. They are only made available to all at 5pm the day prior to travel.